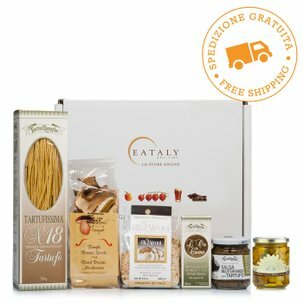 Eataly has selected high quality products and packed them in a gift hamper dedicated to sweetness: an assortment of biscuits from various Italian regions just waiting to be discovered during a tasty snack, served on a patter as the finishing touch to a refined dinner, or in the mornings for an energy boosting breakfast. The hamper contains: Osvego Biscuits 250g - Gentilini, Almond Pastries with Sicilian Pistachios 150g - Antica Bronte Dolceria, Mozzafiato Biscuits 250g - Fraietta, Cantucci di Prato 140g - Desideri, Melighe di Mondovì 220g - Michelis, Krumiri 250g - Golosi di Salute, Canestrelli 200g - Grondona, Forbì Integrale al cacao 280g - Di Leo. Canestrelli 200g:Zutaten: Getreidemehl,Butter (22%), Zucker, Eigelb, Zitronensaft, Backtriebmittel (Dinatriumdiphosphat, saures Natriumkarbonat), Vanilleschoten aus Madagaskar. Enthält ein Tütchen Puderzucker. Zutaten: Zucker, Getreidestärke. Allergene: Gerste, Milchderivate, Eier. Hergestellt in einem Betrieb, in dem auch Schalenfrüchte und Soja verarbeitet werden. Ohne gehärtete Fette. Cocoa Offelle di Parona biscuits 190g:"0" type soft wheat flour, butter, sugar, eggs, cocoa powder 4%, fructose, olive oil, raising agents: disodium diphosphate, bicarbonate of soda, starch. 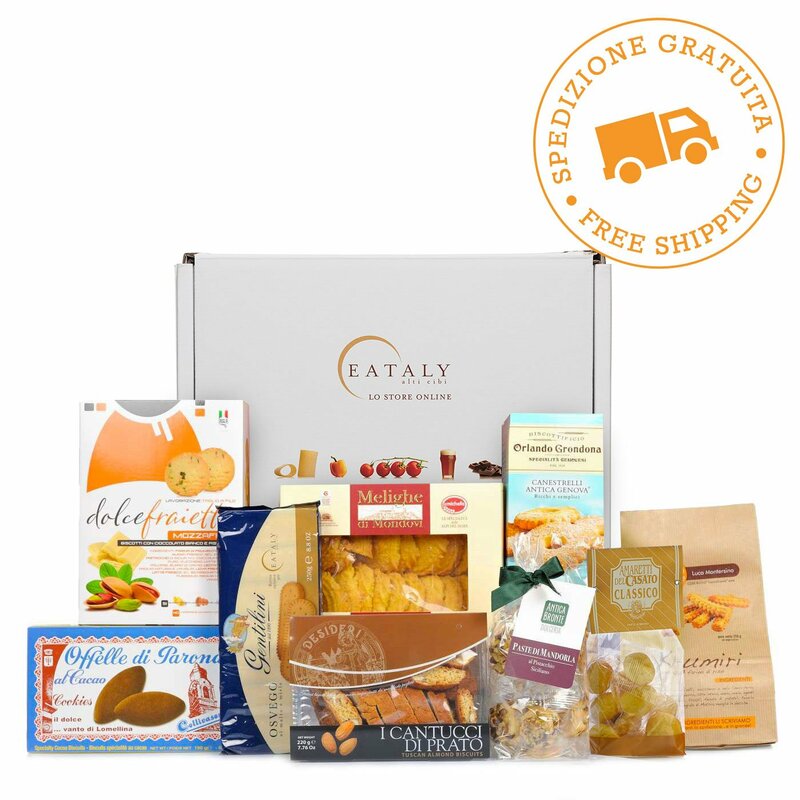 An assortment of biscuits from different Italian regions for a trip to the land of sweetness. 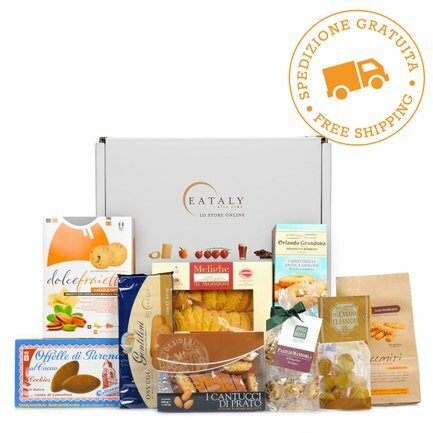 This hamper contains: Gentilini - Osvego Biscuits 250g, Antica Bronte Dolceria - Almond Pastries with Sicilian Pistachios 150g, Fraietta - Mozzafiato Biscuits 250g, Desideri - Cantucci di Prato 140g, Michelis - Melighe di Mondovì 220g, Golosi di Salute - Krumiri 250g, Grondona - Canestrelli 200g, Di Leo - Forbì Integrale al cacao 280g.